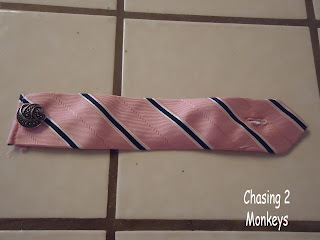 Chasing 2 Monkeys: 12 Days of Pinterest: Day 7: Necktie Bracelets! When I pinned the picture below, I thought someone had actually made them. I had to scout out the blog the image was pinned from, and couldn't find it anywhere on her page. *frustration* So I emailed the blog owner about the bracelets and she sent me the correct link to them. They are made by a New England based company called "Kiel James Patrick" . 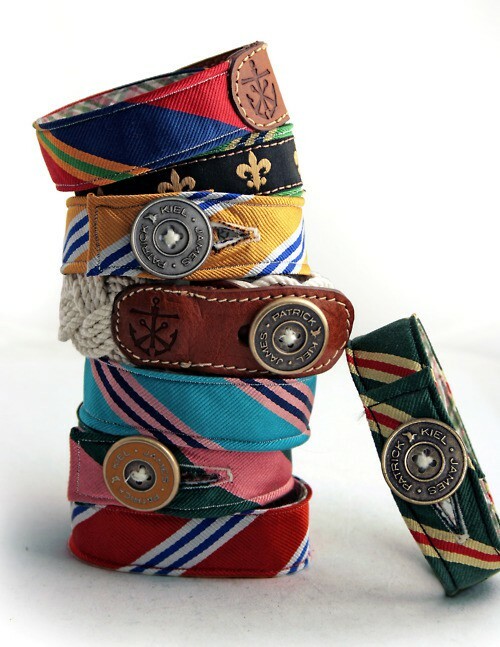 The creator was in college and discovered his knack for designing, sold out of the bracelets he made 2 days in a row at his first craft show, and it was all down hill from there! They aren't made of ties like I originally thought, but I will go ahead with the idea just the same. 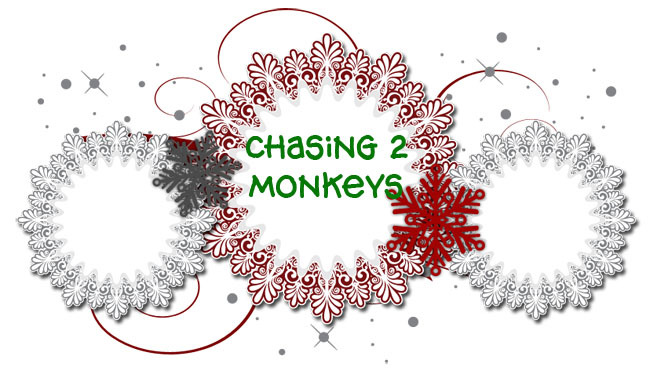 And since this series is just about showing my renditions of the amazing things I find on Pinterest, I'll write up a tutorial when the craziness of the Holidays pass. 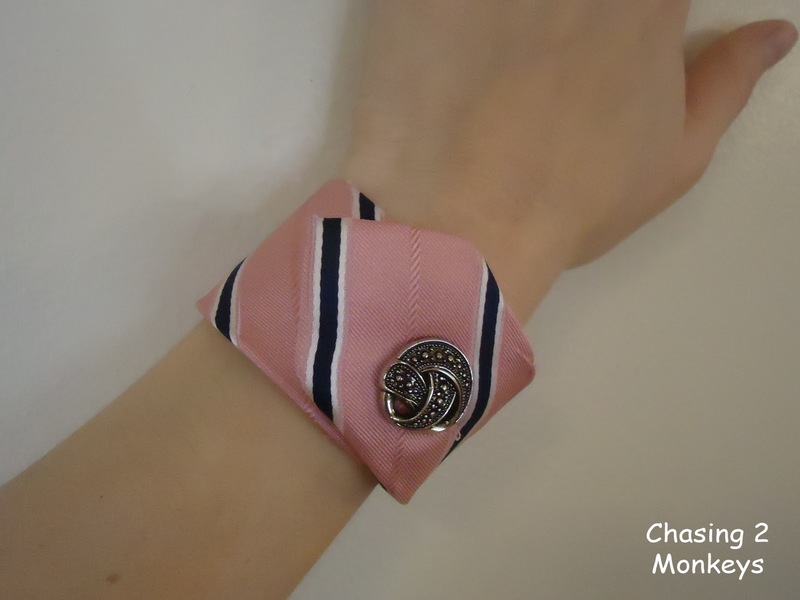 I used a small cut-off piece of the pink tie from another post I'll share later post for my tie bracelet today. Since my machine is unusable at the moment, I had to hand stitch everything. 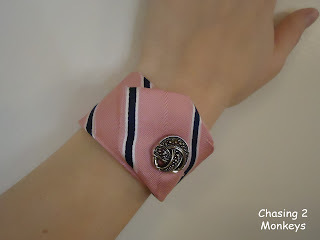 Including the button hole. But I would have had to do the button hole myself anyways, because I don't have a button presser foot (or even the option for button holes on my machine). So here it is, in all it's pink silked glory! I love it. Kinda big, but not weighty. I've been saving that button for something special, and I guess this project was it! And honestly, I have no idea how all these awesome professional bloggers do it! They post everyday (or almost everyday)....I'm lucky if I get around to posting twice a month! But so far I've managed to do this almost 7 days in a row (I think I may have spotted a few gray hairs in the mirror this morning)! I really hope you are all enjoying this series, and that you become "Pinspired" too! Super cute! I am not a super great seamstress or anything but have found that sewing around the outside edges can really help finish something up nicely. I am going to try this!